Fassinating Fassbender - A Michael Fassbender Fan Blog: Double-duty Fassy! 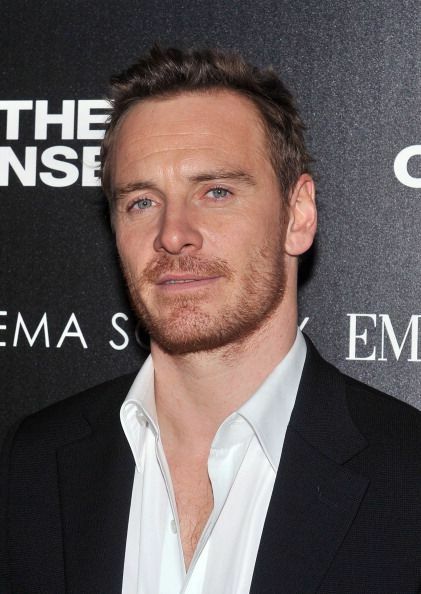 Michael Fassbender is in New York on double-duty: Promoting both '12 Years a Slave' and 'The Counselor'. I must admit that because I don't watch TV, I have not watched Michael's interviews on the late night talk show circuit, but the episodes of the shows are now available for David Letterman and Jon Stewart (see below). Here are just a few more images to enjoy. And lastly, I'd like to announce a big Congratulations! to Dionne for getting a huge job promotion in her career. I'm very proud of her and want to share this news with our fellow Fassinators! Michael had a few nice words to say about Brad Pitt (both are such nice guys) in People Magazine !